Are you searching for that perfect gift to give this season? Check out our newest addition to our Christmas Collection. 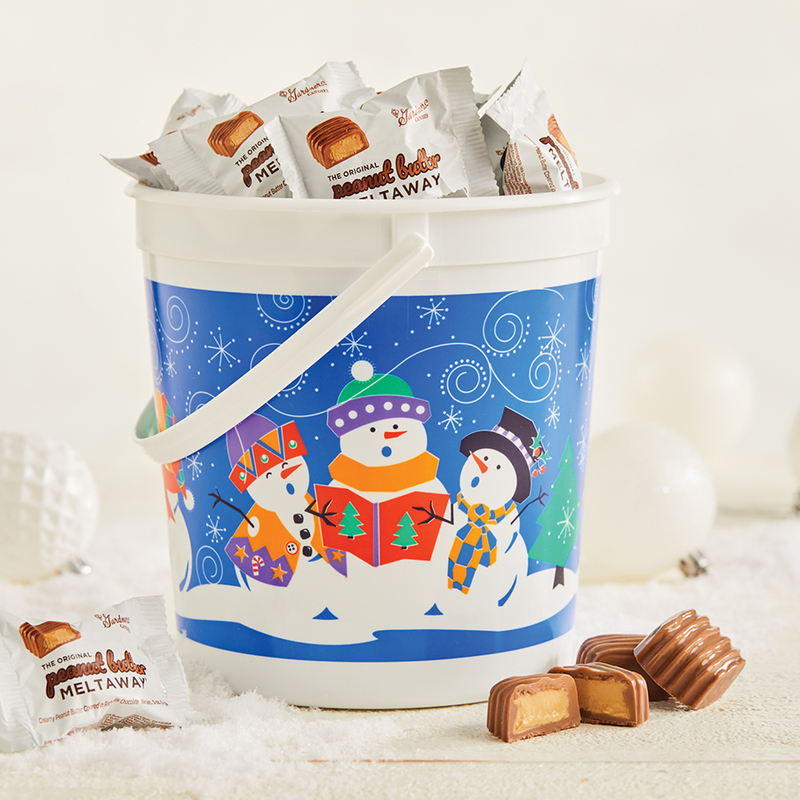 This reusable Christmas themed pail is filled to the brim with 48 individually wrapped Original Peanut Butter Meltaways®. Share them with your friends and family, or get one just for yourself. These bite-sized treats can be eaten by the handfuls or enjoyed one by one.